The relationship between Chicago and its river is long and intertwined. What was once treated as a sewage and industrial waste canal by nearby manufacturing plants is now predominantly a site for leisure and recreation. However, Chicagoans largely ignore their Riverwalk, which is very poorly designed. Riverwalks, as an urban design paradigm, have boosted the tourism industry in cities like San Antonio, which may be why Chicago is making a major effort to further enhance its riverfront. The large investment aims to boldly redesign a six-block section of the Riverwalk between State Street and Lake Street. The alluring renderings create high expectations, but enough questions remain to be cautiously optimistic. To call what exists today along the Chicago River between State and Lake streets a “riverwalk” is very generous. The disconnected walkways require an ascent and descent with every bridge. The spaces are barren and dirty, with a slim chance of finding a bench. There is a cacophony of loud noise coming from the adjacent Lower Wacker Drive despite it being walled off. The walkways are below grade from Upper Wacker Drive, making these spaces isolated and potentially dangerous. Symbolizing that this project was premature is its westernmost segment between Franklin and Lake streets, where stairs were built but the walkway is of gravel and Lower Wacker Drive is entirely exposed. The reason that hardly anyone uses these walkways is because today’s Riverwalk has nothing to offer. 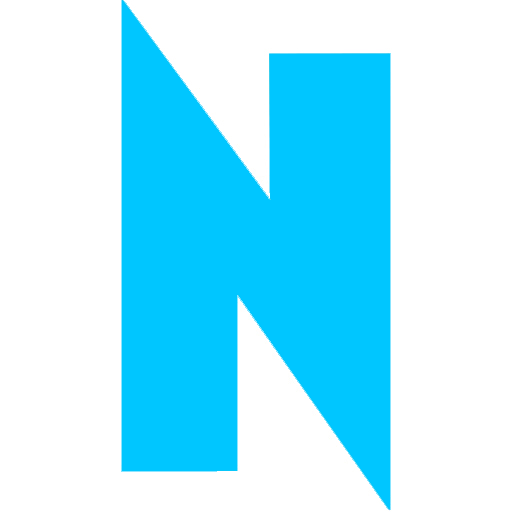 Although almost any redesign would be an improvement, a dramatic transformation is about to begin. The comprehensive design scheme for the six blocks along the southwest riverbank was led by Sasaki Associates and Ross Barney Architects. Walsh Construction was awarded the forty-three-million-dollar project to build the first three blocks. Groundbreaking is imminent with a completion expected by late 2014. Each of the three blocks will have their own theme and identity, and the bridges will function as design boundaries. The Marina, between State and Dearborn, will have space for restaurants, retail and public seating. The Cove, between Dearborn and Clark, is designed for kayak rentals and docking space for human-powered craft. The River Theater, between Clark and LaSalle, is a grand staircase that connects Upper Wacker with the Riverwalk. The new Riverwalk will have a continuous walkway beneath the bridges. The renderings show ample trees and landscaping and smiling people. Certainly, walking or using the new Riverwalk amidst skyscrapers should provide a powerful experience. The new Riverwalk is one of the city’s highest-profile urban design projects since Millennium Park. Despite the attractive images released by the architects, there remain questions and concerns about the Riverwalk’s design. Perhaps most importantly is if the Riverwalk will be a place to come only on a sunny summer day or if it will be compelling enough to visit (and revisit) during any season. Is the range of uses diverse enough to attract a variety of users? Being below grade, will the Riverwalk be out of sight and out of mind, or will it somehow draw people in? Aesthetically, will the Riverwalk interact or clash with the beaux-arts motif that currently exists along the river? The new Riverwalk will be a symbol of Chicago re-embracing its river with the creation of a second waterfront. 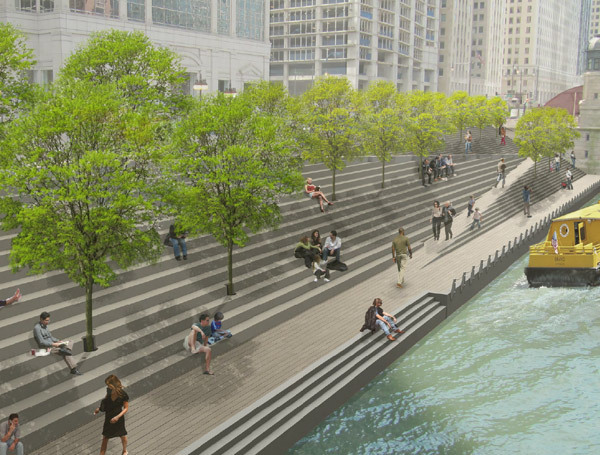 With Chicago having a legacy of outstanding architecture and urban design, the expectations for the Riverwalk are high. Will the project live up to them?